Downtown may be an unconventional choice for life with children, but these families are attracted to the home-without-boundaries that is Memphis' urban core. No fences. That’s how Stacy McCall describes life for her children growing up as residents of Downtown Memphis. Downtown isn’t typically the first neighborhood parents or soon-to-be parents consider when searching for a home to buy or rent. That’s not to say Downtown Memphis isn’t home to families with children at home. 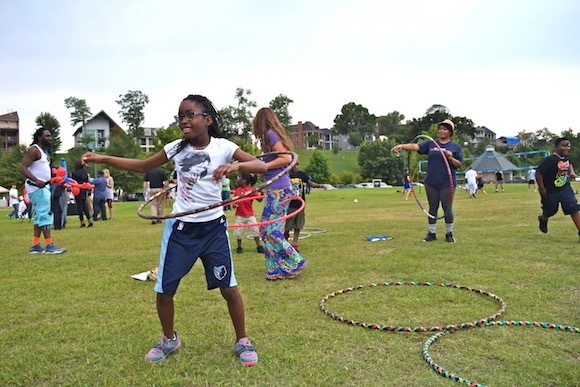 For parents looking to live in Memphis’ urban core, they have to consider available schools, space to play, access to amenities and safety. Jean Williams Andrus lives Downtown and owns the South Main Book Juggler in the South Main Historic Arts District. Her bookstore doesn’t carry many children’s books, in part because there aren’t a lot of children who call the neighborhood home. The Downtown Memphis Commission defines the 6.5-square-mile area through four districts: the North CBID, Downtown Core, Medical Center and South CBID. All four have their own unique flavor and qualities for a variety of residents. The Core includes the Civic Center, Main Street Mall, Beale Street, Riverfront and Ballpark Neighborhood. The residential population is 6,900, and there has been a 54 percent residential growth in the Core since 2000. 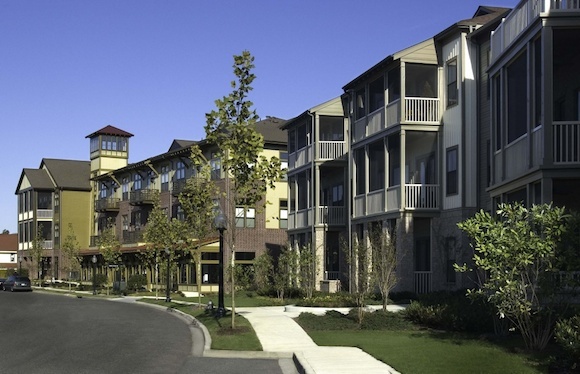 High-dollar apartments can be found in this highly active part of town. Members of the Urban Bicycle Food Ministry travel on South Main. The North district includes Mud Island, the Pinch and Uptown. With a population of 8,700, it’s grown 49 percent since 2000. Much of Downtown’s single-family houses are in the North district. Mud Island is nearing capacity, but Uptown and the Pinch hold plenty of potential for more residential development, in part spurred by St. Jude Children’s Research Hospital expansion plans. Part of the Pinch’s multi-million revamp includes multifamily buildings. The South District includes South Main, South End and South Bluffs and has a residential population of 3,350, which has grown 28 percent in the past 16 years. Condos, apartments and a single family enclaves make up the southern quadrant of Downtown. Previously an industrial area, it has recently exploded with residential growth. And the Medical District includes the Edge and Victorian Village. It has a population of 5,300, a 17 percent decline in residents since 2000. Efforts are underway to change that landscape with the work of the Medical District Collaborative that wants to increase the number of residents there by making the employment district more attractive and walkable. Patrick Reilly moved to Memphis in 2000 to work at Gibson Guitar. 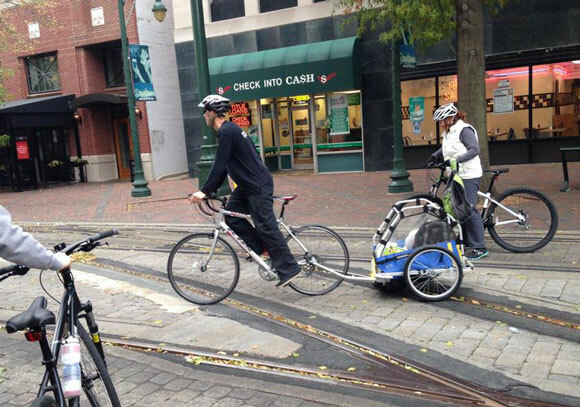 He didn’t have a car, so living Downtown was a matter of practicality. He later met and married Deni, and the two bought a home in South Bluffs. When they became pregnant with their son they bought a bigger house but stayed in South Bluffs. The couple runs The Majestic Grille on Main Street near Peabody Place, so their lives are centered Downtown. “It’s hard to be a proponent for a neighborhood if you don’t live in it,” Deni Reilly said. Deni Reilly moved to Memphis from Philadelphia, and wanted to stay in a similar urban setting. A suburban area seems to be the dominant destination for growing families. Germantown and Collierville are two communities that bear that out. But Kim Strohkirch sees too many positives that come with an urban environment. Ironically, she sees her life Downtown as close to the rural childhood home in the tiny community of Burlison in Tipton County. She lives 15 minutes away from her place of work at Medtronic, and she gets a patch of grass attached to her home. She and her husband own a boat and often take their daughter to a nearby sandbar on the Mississippi River. She said she notices the families who tend to move from Downtown once they have a second child. Education is a constant consideration for every parent. Not everyone has the option to choose where his or her child will attend school. But many parents who consider Downtown as a home find themselves considering school options, whether public or private. Strohkirch will send her five-year-old daughter to private Immaculate Conception in Midtown when she starts school. 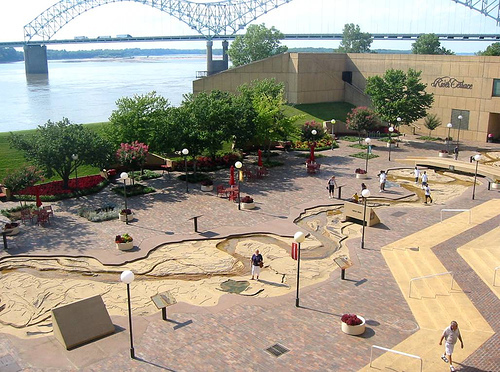 Mud Island River Park, a family-friendly amenity McCall moved Downtown in 2009. Her oldest of three children was already in college. The middle son began attending Central High School his freshman year and is now a senior at the University of Memphis. The McCalls drove their son to school until she had an “ah-ha moment.” They lived near Madison Avenue and Second Street, a perfect location to use the Madison Avenue trolley line. So his new after-school routine included walking to the trolley stop on Madison near Cleveland Street. “It was like having a neighborhood school because he was able to ride the trolley,” McCall said. McCall’s youngest child stayed in the neighborhood and attended Downtown Elementary through the fifth grade and now attends Lausanne Collegiate School in East Memphis. McCall is the CEO and president of ServiceMaster by Stratos, which is located at the corner of Main Street and Jefferson Avenue. She and her husband Chris McCall, who serves as Chief Operating Officer and Vice President of ServiceMaster by Stratos, took advantage of the school’s location and walked their son to school before continuing their day at their nearby office. Harbor Town, a walkable single-family neighborhood founded in the late 1980s. There is another academic option in Downtown, the Maria Montessori School in Harbor Town. Maria Cole founded the school in 1986 in East Memphis and moved it to Harbor Town in 1991. There wasn’t much in Harbor Town then, about 20 or so houses, Cole said. Many of the families who attended the school in those early days lived across the city and followed the school Downtown. Deni Reilly said she isn’t sure what she’ll do when her four-year-old son is ready for school. But she and Patrick are big public school proponents. She said they’re looking at some of the public schools in Midtown, but they don’t want to drive far from Downtown. Cory Tinker moved Downtown from East Memphis about seven years ago. At the time, his daughter was still in high school. He said it was tough moving from where they were just a couple of blocks from her East Memphis school, but he felt the diversity of residents Downtown more than made up for the drive she made to school daily. Now he and his wife are empty-nesters, and continue enjoying Downtown life around a diverse community. Cole said she sees the diversity in the children attending her Montessori School. More residents who aren’t native Memphians could be on the way to neighborhoods such as Harbortown and Uptown, thanks to St. Jude Children’s Research Hospital’s plans to add some 2,000 jobs in the coming years. Families considering Downtown might wonder what kind of neighborhood feel exists. McCall has found the neighborhood to be an exceptional place for her children to grow up. She said she believes Downtown living has possibly been better for her children’s diets, particularly the fact they have an abundance of good restaurants instead of the temptation for quick fast-food meals. 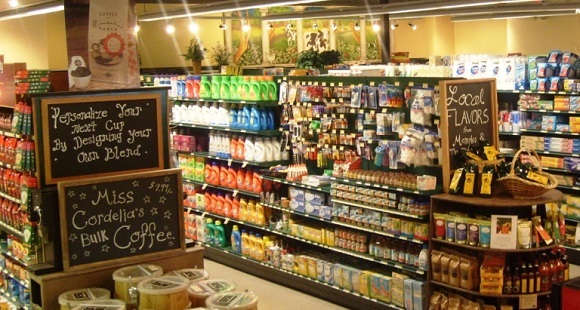 Of course, there is the concern of grocery store and other big-box retail amenities. The closest Kroger is in Midtown, and a Target or other home goods giant is out of the question in an area dominated by locally-owned stores and boutiques. To fill that need, SuperLo is set to launch a to-go location at 552 South Main. Residents will be able to order and pay for groceries online and then pick up at the nearby storefront. Playing outside with neighborhood friends can be easier in a single-family setting such as Harbor Town or Uptown as opposed to the condos in the Core or the South End. But Deni Reilly said her son’s backyard is the massive Tom Lee Park, and they enjoy riding their bikes to the new Big River Crossing. McCall said her main safety concern for her youngest child is worry about drivers not paying attention to her son on his bike. And she does admit that most of his interactions are with adults when Downtown. He plays football at Lausanne, and she said either she or her husband works from a coffee shop in East Memphis while waiting on their son to finish with his after-school activities. In the end, is it possible parents who decide to live Downtown with children are open to unique experiences? Cole certainly thinks so.